I posted this text last year but I thought it was so good that I’d do it again…. 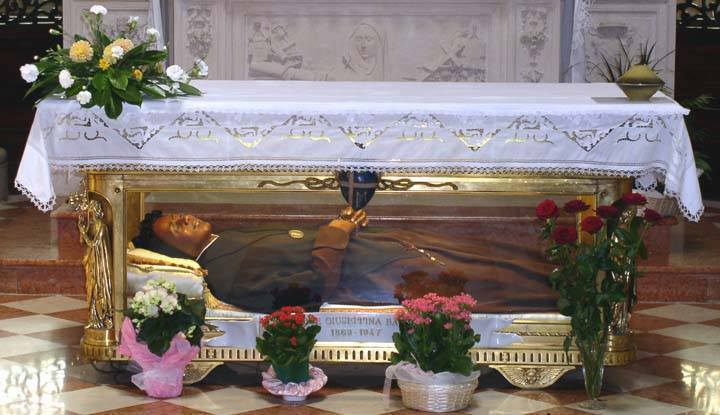 Pope Benedict XVI in his encyclical on Hope, Spes Salvi gave Saint Josephine Bakhita as an oustanding example of one who discovered Christian hope. 3. Yet at this point a question arises: in what does this hope consist which, as hope, is “redemption”? The essence of the answer is given in the phrase from the Letter to the Ephesians quoted above: the Ephesians, before their encounter with Christ, were without hope because they were “without God in the world”. To come to know God—the true God—means to receive hope. We who have always lived with the Christian concept of God, and have grown accustomed to it, have almost ceased to notice that we possess the hope that ensues from a real encounter with this God. The example of a saint of our time can to some degree help us understand what it means to have a real encounter with this God for the first time. I am thinking of the African Josephine Bakhita, canonized by Pope John Paul II. She was born around 1869—she herself did not know the precise date—in Darfur in Sudan. At the age of nine, she was kidnapped by slave-traders, beaten till she bled, and sold five times in the slave-markets of Sudan. Eventually she found herself working as a slave for the mother and the wife of a general, and there she was flogged every day till she bled; as a result of this she bore 144 scars throughout her life. Finally, in 1882, she was bought by an Italian merchant for the Italian consul Callisto Legnani, who returned to Italy as the Mahdists advanced. Here, after the terrifying “masters” who had owned her up to that point, Bakhita came to know a totally different kind of “master”—in Venetian dialect, which she was now learning, she used the name “paron” for the living God, the God of Jesus Christ. Up to that time she had known only masters who despised and maltreated her, or at best considered her a useful slave. Now, however, she heard that there is a “paron” above all masters, the Lord of all lords, and that this Lord is good, goodness in person. She came to know that this Lord even knew her, that he had created her—that he actually loved her. She too was loved, and by none other than the supreme “Paron”, before whom all other masters are themselves no more than lowly servants. She was known and loved and she was awaited. What is more, this master had himself accepted the destiny of being flogged and now he was waiting for her “at the Father’s right hand”. Now she had “hope” —no longer simply the modest hope of finding masters who would be less cruel, but the great hope: “I am definitively loved and whatever happens to me—I am awaited by this Love. And so my life is good.” Through the knowledge of this hope she was “redeemed”, no longer a slave, but a free child of God. She understood what Paul meant when he reminded the Ephesians that previously they were without hope and without God in the world—without hope because without God. Hence, when she was about to be taken back to Sudan, Bakhita refused; she did not wish to be separated again from her “Paron”. On 9 January 1890, she was baptized and confirmed and received her first Holy Communion from the hands of the Patriarch of Venice. On 8 December 1896, in Verona, she took her vows in the Congregation of the Canossian Sisters and from that time onwards, besides her work in the sacristy and in the porter’s lodge at the convent, she made several journeys round Italy in order to promote the missions: the liberation that she had received through her encounter with the God of Jesus Christ, she felt she had to extend, it had to be handed on to others, to the greatest possible number of people. The hope born in her which had “redeemed” her she could not keep to herself; this hope had to reach many, to reach everybody. 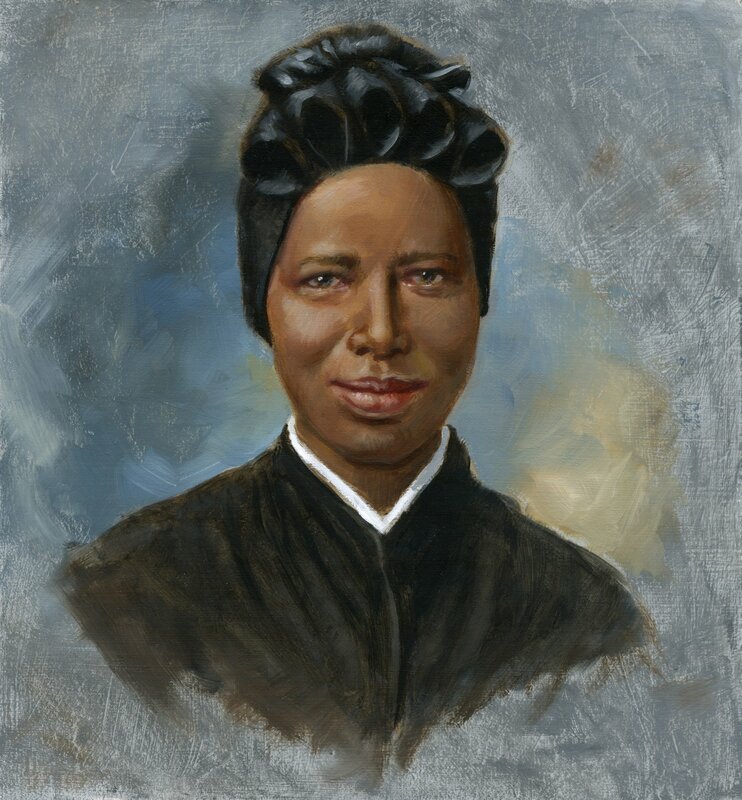 When Pope Benedict XVI published his encyclical on Hope, Spes Salvi he showed the world a new aspect of hope in the person of a tremendously beautiful saint of the 20th century: Saint Josephine Bakhita. One priest called her “a superlative example of one who found hope.” YES, indeed!!!!! O God, who led Saint Josephine Bakhita from abject slavery to the dignity of being your daughter and a bride of Christ, grant, we pray, that by her example we may show constant love for the Lord Jesus crucified, remaining steadfast in charity and prompt to show compassion. One of the most intriguing and beautiful faces of holiness in the 20th century is Saint Josephine Bahkita (c. 1869- 8 Feb 1947), the Sudanese woman once a slave, convert, and a religious sister. She’s gaining popularity and was mentioned by the Pope in Spe Salvi. Not long ago I watched a most beautiful film, “Bakhita: From Slave to Saint.” It was exemplary in the way the directors brought out the beauty of conversion for Bakhita but also for others, including the Canossian sisters and the parish priest. I can’t recommend the movie enough even with the subtitles. In the midst of so much hardship, Blessed Bakhita is your model and heavenly patron. In the terrible trials of her life Bakhita always listened to Christ’s word. She learned the mystery of his Cross and Resurrection: the saving truth about God who so loved each one of us that he gave his only Son (Cf. Jn. 3: 16), the saving truth about the Son who loves each one of us to the end (Cf. ibid. 13: 1). Blessed Bakhita was faithful, she was strong. She confided in Christ without reserve. She showed herself a servant of God by patiently enduring troubles, hardships and difficulties, by purity, knowledge, forbearance and kindness (Cf. 2Cor. 6: 4-6) – like the first Christians who, in the midst of the persecutions of the Roman Empire, showed themselves to be “servants of God… in honour and dishonour, in ill repute and good repute” (Ibid. 6: 8). So writes the Apostle Paul in the Letter to the Corinthians. And so speaks the history of the Church in Africa, not excluding the countries which I have now visited: Benin, Uganda, the Sudan. It was the power of God which made Bakhita – in the likeness of Christ – into the one who enriches many. The poor slave-girl who had nothing showed that she was in fact the one who had the greatest treasure (Cf. ibid. 6: 10). And even if, humanly speaking, she seemed condemned to death, she lives! (Cf. ibid. 6: 9). She lives just as Christ lives, though he was condemned to death and was crucified. She lives with his life!